A lookback, 2008, and what will 09 bring? Another year has past. In my real life I spent my 27th year doing a lot of wonderful things. Highlights of course include a trip to London and Amsterdam, wonderful vacations with friends, a few weddings and and of course the ultimate HIGH of my year – getting engaged! I also turned 6 this past year in my knitting life. It's pretty crazy how fast time has flown since I first learned and how with each stitch I've grown. I'm met some really wonderful people through this craft. I went to my first TNNA with my friend Patricia and have had some luck being able to sample knit for some great designers as well. I'm starting to get more confident with designing my own things although if I only had more time! My knitting as of late has been in gift mode and I even have a knit I made and gave away with out a peek on the blog! Yes, I've been a bad blogger lately and a terrible photographer at that too! My whole ideal of taking at least one pic a day has really suffered. (and when I say suffered I mean it's non exhistant!) But boy did I catch one dramatic one yesterday. I know you all heard about the flight that safely landed in the Hudson River – and such a huge feat that was. I am in awe of the pilot and so thankful that everyone was rescued!! This is the zoomed view from my apartment, the plane drifted in front of my buidling so I saw the whole scene float by! Craziness! You had a “ring side” view! You’re kntting looks fabulous, as usual. It’s nice to see you back in Blogland! Happy New Year! Are you another April 18th bride like me? 🙂 That’s an amazing picture of the plane from yesterday. Such gorgeous 2008 knits! i’m sorry for the loss of your grandmother, but it sounds like 2008 was overall a great year for you. i hope 2009 is great! wow what a great collection of FO’s!! I hope 2009 is your best year ever! Pretty knits, you’ve done a lot! i can’t even imagine how amazing that would have been to see from your window!!! happy ’09! look forward to seeing more beautiful pieces coming out of this space. You could actually see the plane from your apartment?!! Craziness! I am so sorry to hear of the loss of your Grandmother. I lost mine over 13 years ago-but I think of her often! You’ve had a wonderful year! 2009 is going to be even better! I’m so impressed with the pilot and crew of that plane. 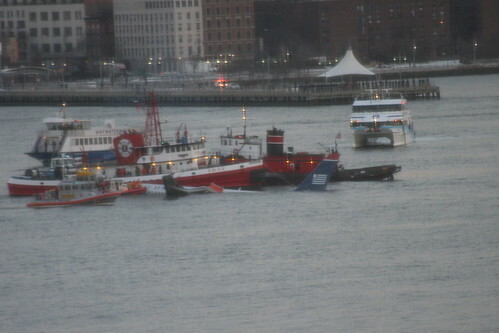 I’m so happy that everyone is OK. How crazy that you saw the whole thing floating by. Wow! You really had a front row seat! Did you hear it at all??? What a great 2008 – I bet 2009 will be even better!!! Oh, I didn’t know about your grandmother. I’m so sorry! All in all though, you’ve had such a great year, and I know 2009 will be even more wonderful! xo-S.
i love end of the year posts. you get to see all of the gorgeousness (is that a word?) in one post. I’m so impressed with the pilot and crew of that plane. The pilot done a great impressive job……..BRAVO!!!!! i’m sorry for the loss of your grandmother. Good colection, you’ve done a lot!